From Port Canaveral to Sebastian Inlet, the Brevard County or Space Coast lifestyle is one that is vibrant, lively, and rich in diversity. It’s an area filled with natural beauty creating breathtaking views around every corner. 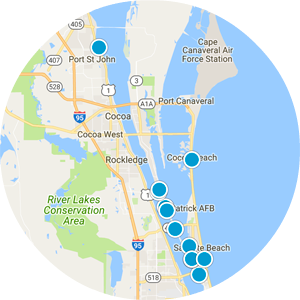 Brevard County Real Estate is best known for its luxury riverfront, oceanfront, and canal-front properties scattered throughout its growing cities. Surrounded by ocean and river, Brevard County has diverse wildlife and outdoor activities in our ocean, rivers, and famous Thousand Islands. Our small and quaint communities have seemingly endless options for good surf, offshore and fresh water fishing and boating, paddle & kite boarding, windsurfing, kayaking, beach combing, great restaurants, a lively arts and music scene, and more. 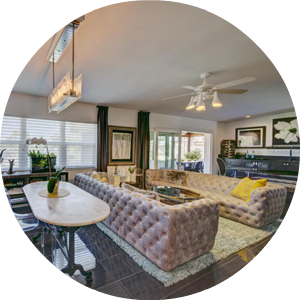 We can easily access the options a larger city like Orlando offers, while enjoying a more relaxed lifestyle here on the coast. 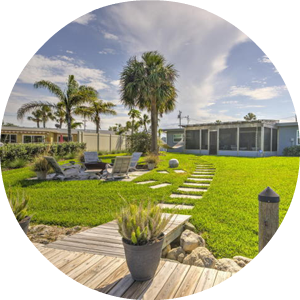 In addition, our communities from Cocoa Beach to Melbourne offer great property values not often found in other ocean-side communities. We have a passion for beach-side living and know you'll find it's the perfect place to live full time or as retreat from a busy life elsewhere. Whether you enjoy sunrises or sunsets, we have it all. So come visit and let us show you our little slice of paradise.